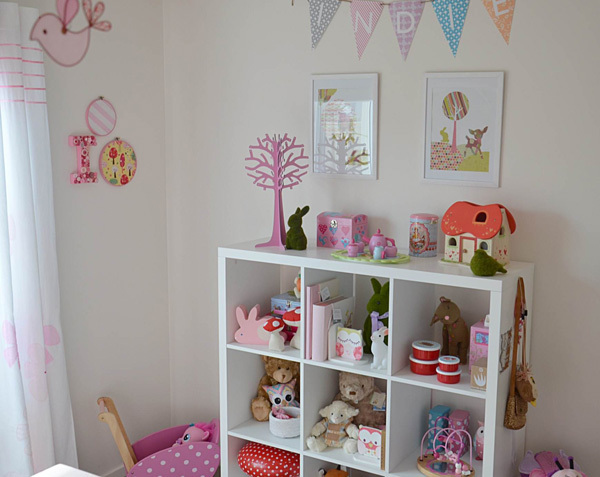 We love a traditional pink hued space fit for a little princess, click through to see what magic lies behind Indie’s nursery door! 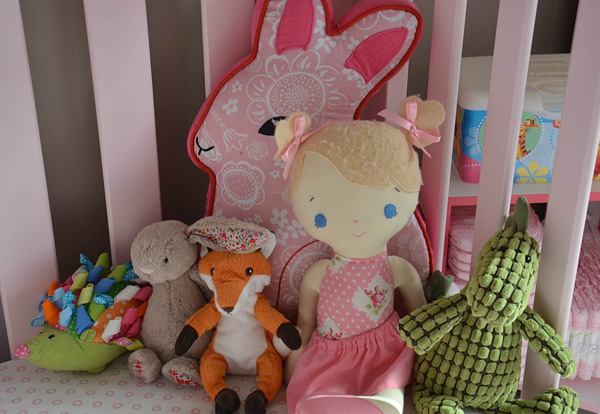 Indie is now a toddler and looks to be thoroughly enjoying her pretty room, with its beautiful soft pink accents and cute woodland creature theme all carefully styled by mum Melanie. 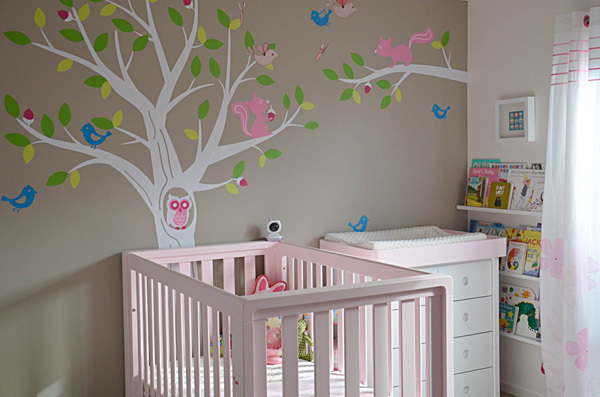 Indie is the second daughter to be welcomed into this family and Melanie tells us about her inspiration for her second daughter’s space: I decided early on that I wanted to change the nursery furniture somehow that we had used for our first daughter, so to make a feature of our cot I got painter hubby to paint it pink from white as well as the change table. 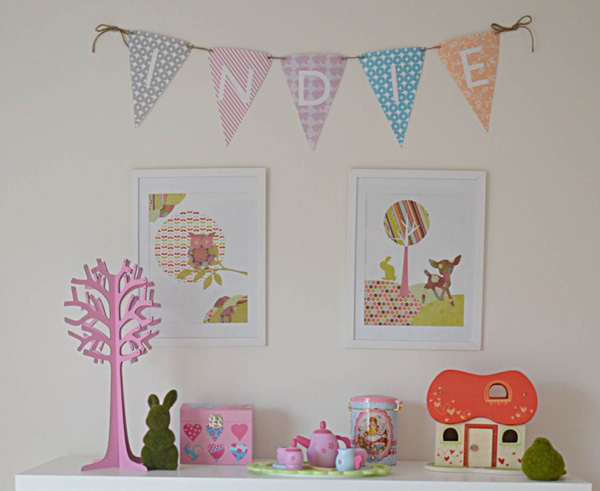 When I found the gorgeous Dwell Studios bed linen I knew what direction I wanted to go in with the rest of the nursery. 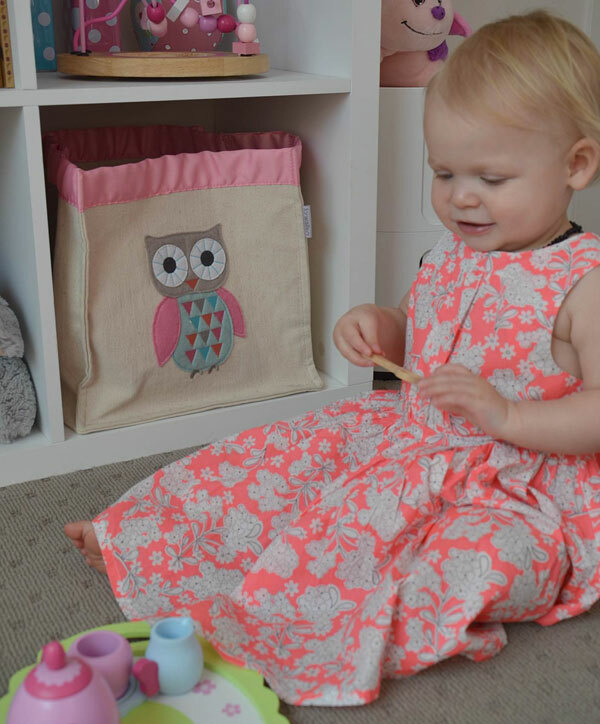 Very girly and pretty with a mixture of different patterns and colours. 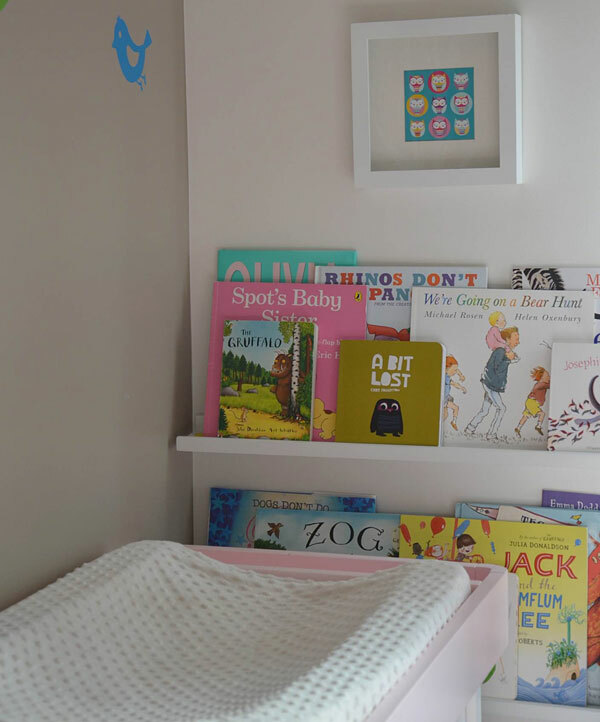 I wanted more colour besides pink so used the colours from a knitted pram blanket I have for inspiration for colours used on the wall decal. My mum picked up the curtains on a trip to Queensland and I worked on some artwork to fit in with my theme. 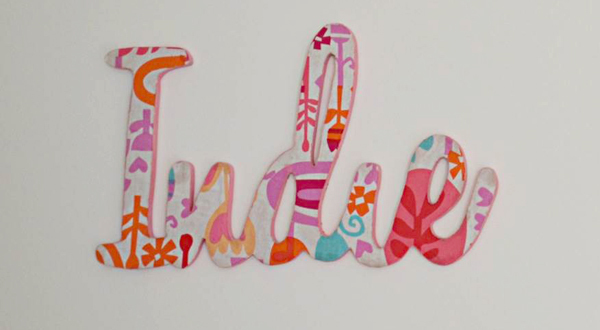 The Indie banner is something I found and used for decoration at a BBQ we had for friends and family after Indie arrived and decided it matched her room well. The rest of the toys and decorations have been gathered over time from baby presents, birthday presents and things I’ve really liked. 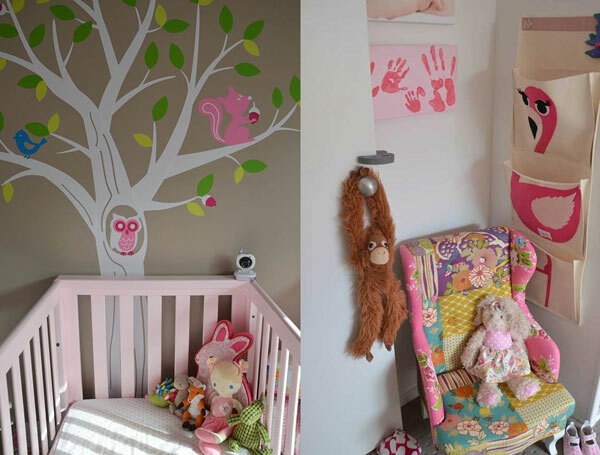 We love how you’ve created such a personal, pretty space for sweet little Indie, with lots of super sweet touches in every nook and cranny for her to discover – we have no doubt her bedroom will continue to bring joy for years to come.